​Maximum occupancy is NO MORE THAN 8. Grandma's Cottage can be seen at left in a vintage show, most likely from the 1940's. ​Grandma’s Cottage is a treasure that simply couldn’t be duplicated. This large, vintage, log cabin is surrounded on two sides by a glassed-in porch that provides the ultimate in relaxed ambiance. The cathedral ceiling-ed living room features a stone fireplace and a warm, inviting feel. A cozy bath with shower, kitchen, and three bedrooms complete the interior. Dining is on the glassed-in porch, or take lunch down to the deck for Door County al fresco! Grandma’s Cottage is the oldest cottage in the area and gets its name from being the summer home of Grandma Tressler (Arlouine Dart Tressler). She and Grandpa Tressler, a prominent banker from Madison, had the cottage built in 1922 and she occupied it for over 38 summers. The cottage is furnished in a mixture of vintage and modern pieces. Two bedrooms feature full/double beds and NEW FOR 2018, the third has a queen-sized bed. Grandma’s has forced air heat for those chilly days in Spring and Fall. This large cottage sleeps 6 and is perfect for a family or close friends. In addition to being the oldest cottage in the area, it also is one of the least changed. 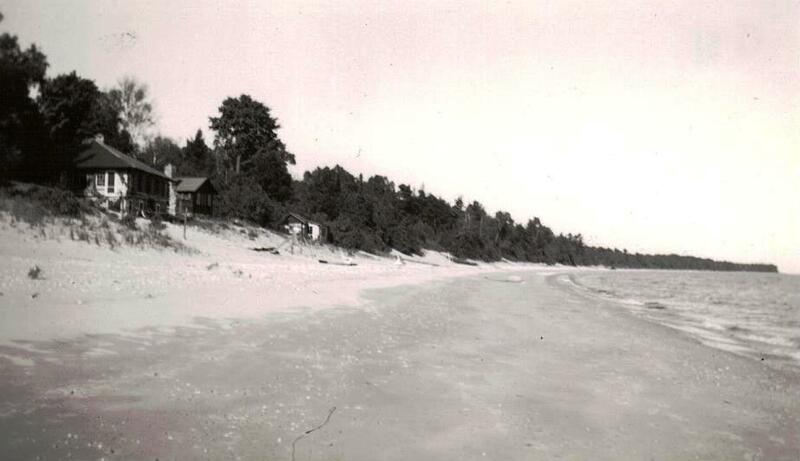 Of course electricity and indoor plumbing and central heating were added later, but Grandma’s Cottage’s charm remains intact as it first was back in the 20’s when our family first started spending their summers here.